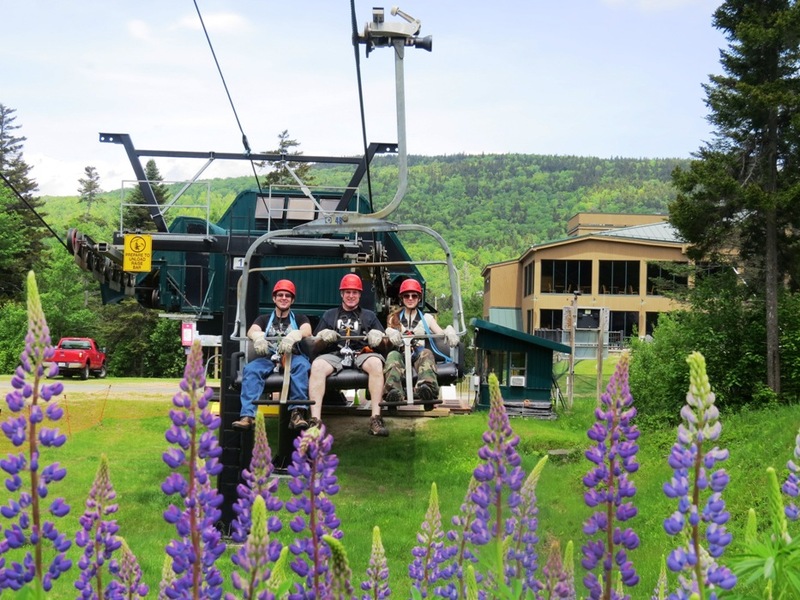 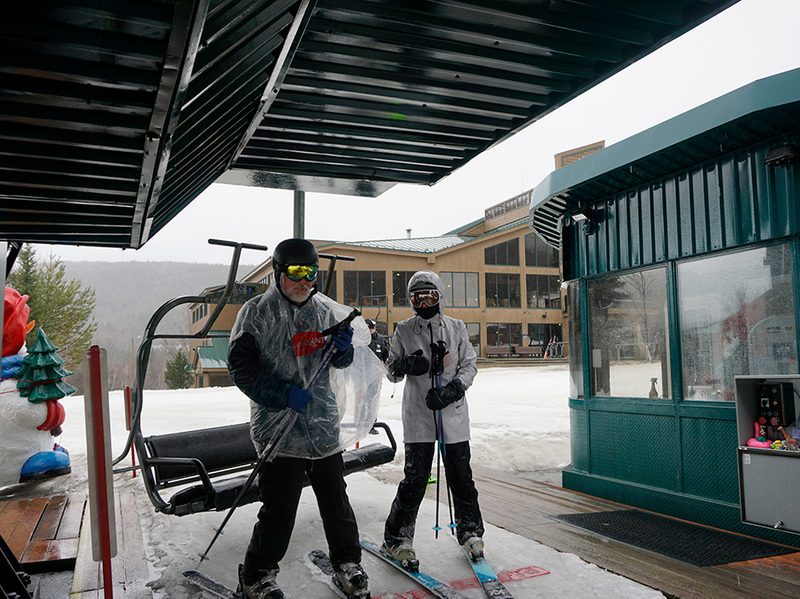 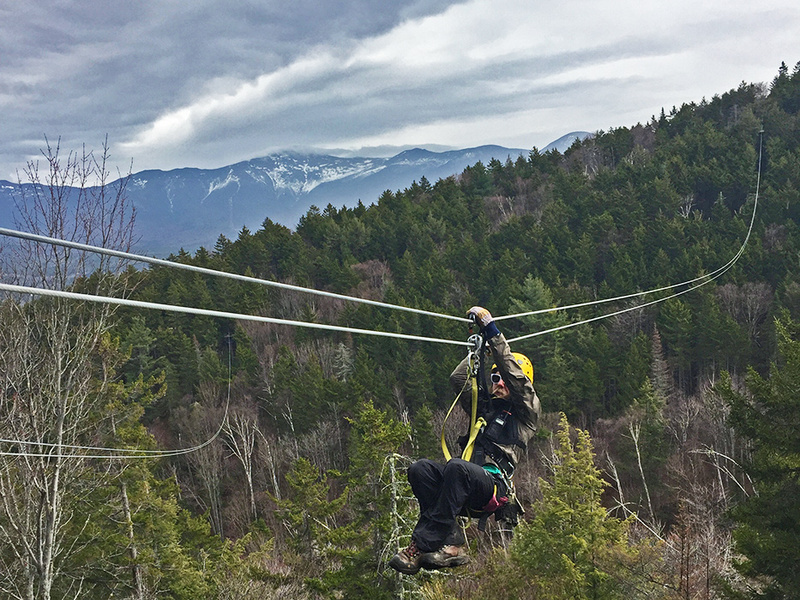 Canopy Tour Photo Gallery of Mount Washington Resort - Bretton Woods, NH - New England's Four-Season Resort. 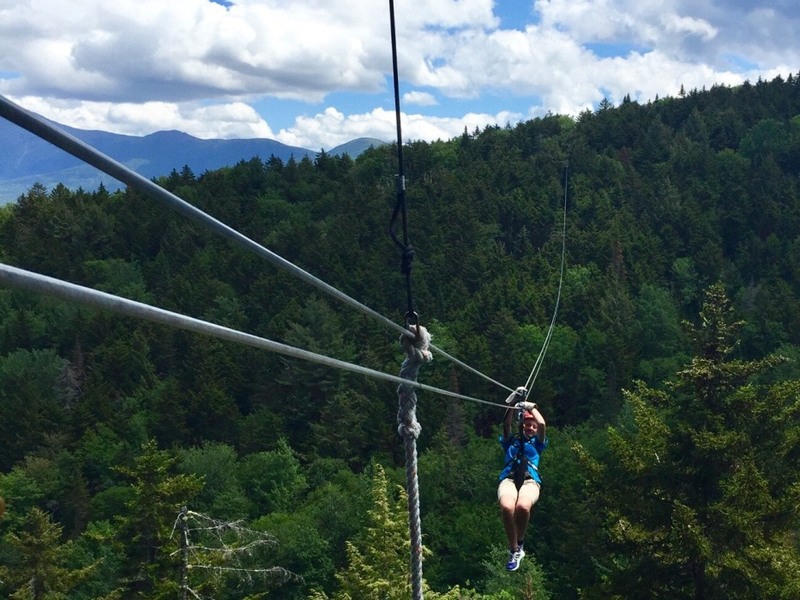 Blue skies & snowy mountains make for incredible sights on a canopy tour this morning! 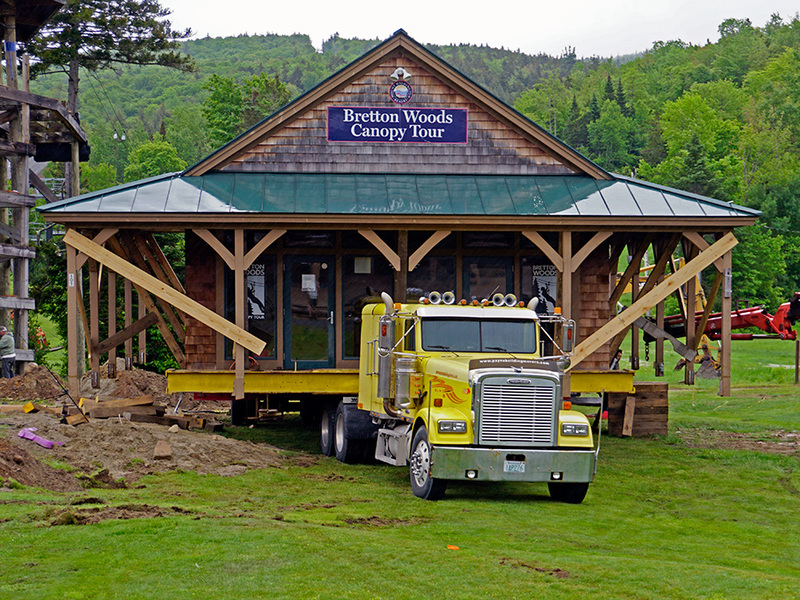 The Canopy Tour building is moving to it's new home. 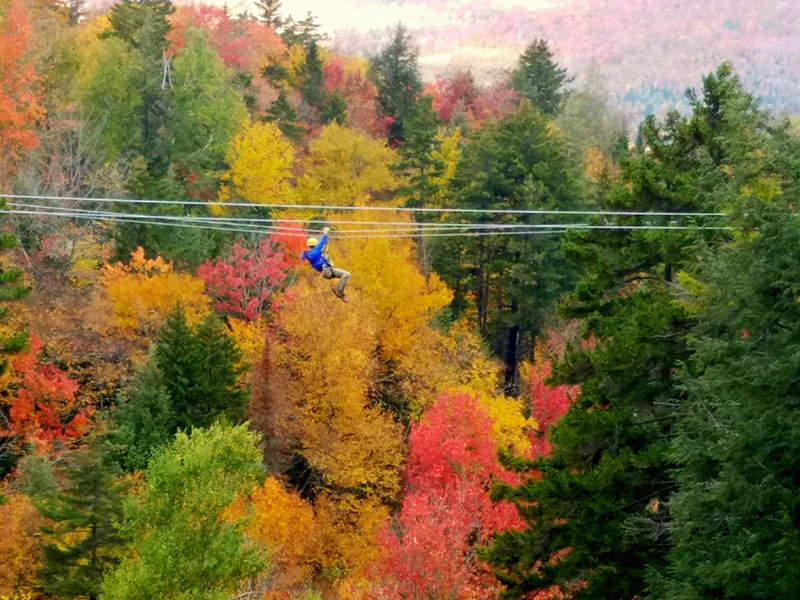 View the foliage from a different perspective on a canopy tour. 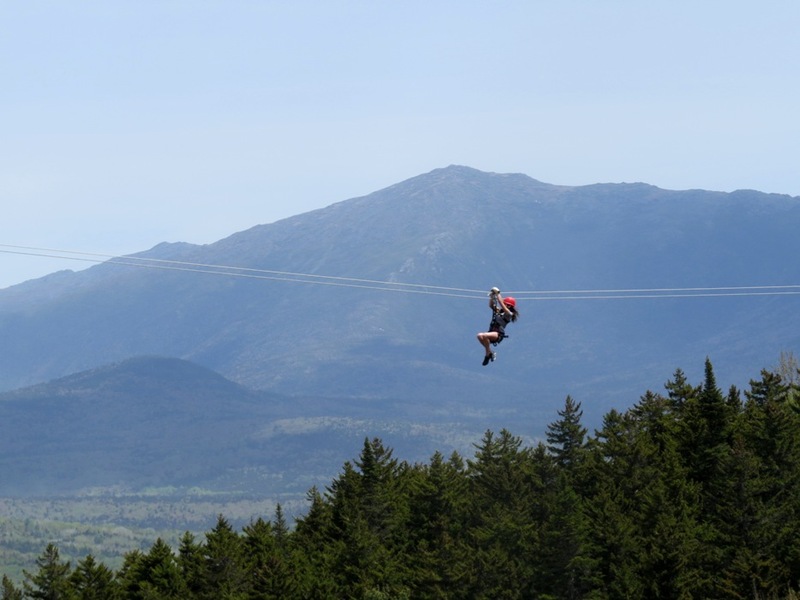 Coming in for a landing on the Williwaw Racing Zip! 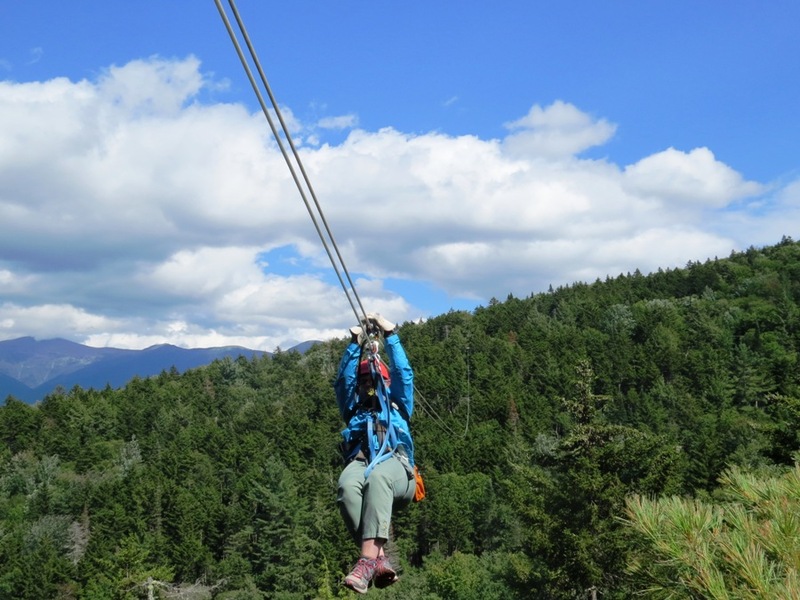 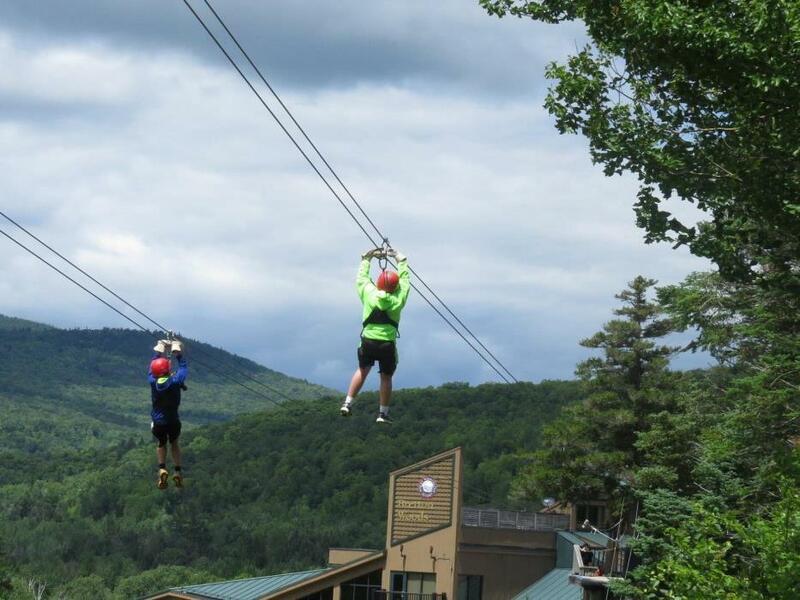 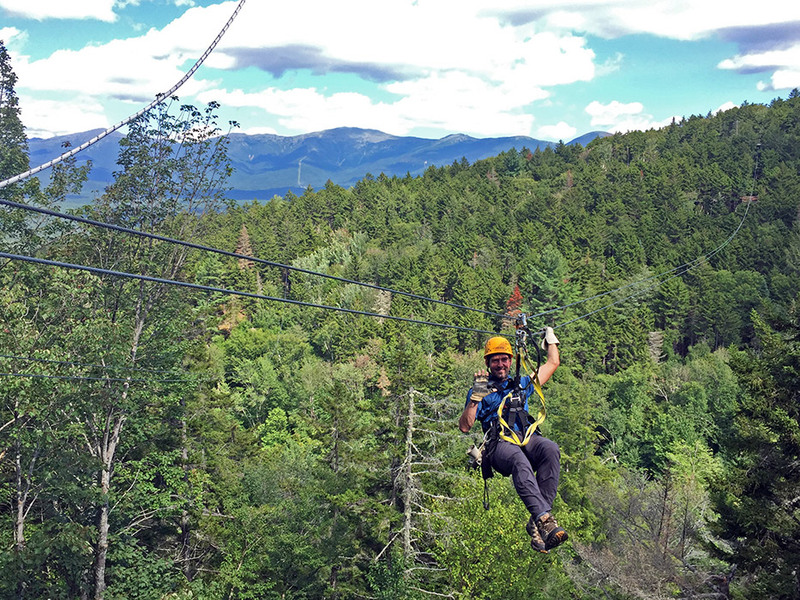 Come and soar through the sky while taking in the beauty of the White Mountains on our Canopy Tour. 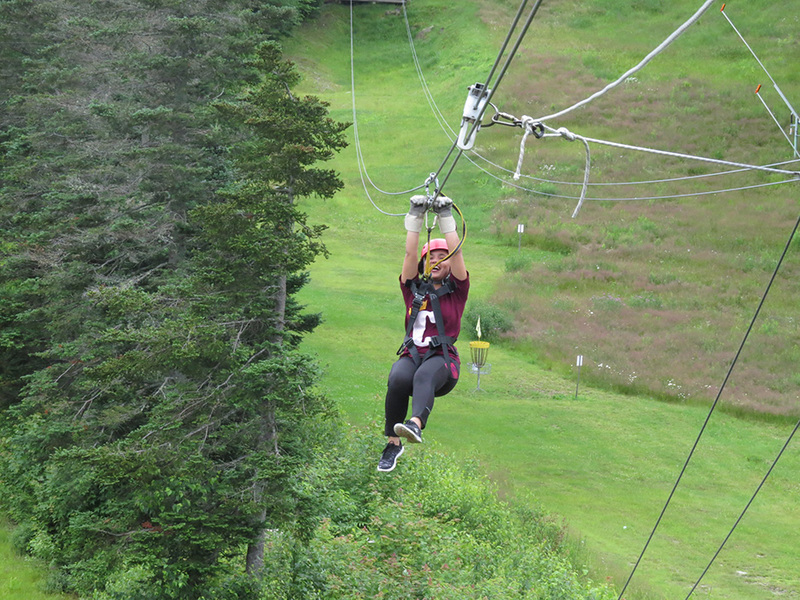 The Williwaw Racing Zip was designed to make smiles like this! 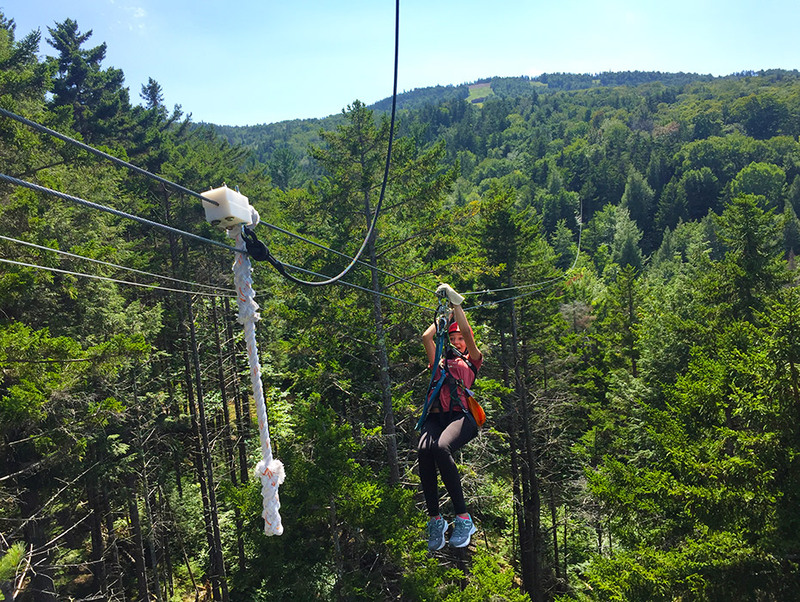 Taking in the beauty of the White Mountains from high in the canopy. 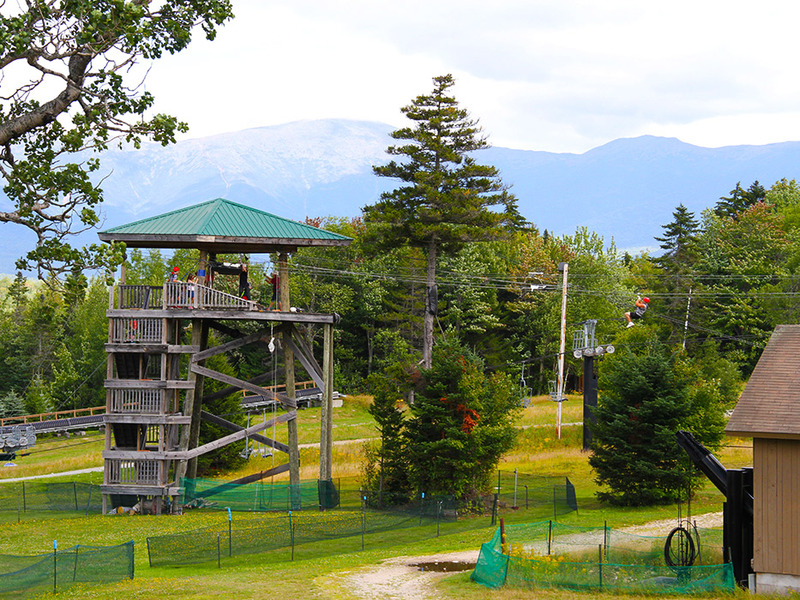 Great day to challenge a friend on the Wiliwaw Racing Zip at Bretton Woods! 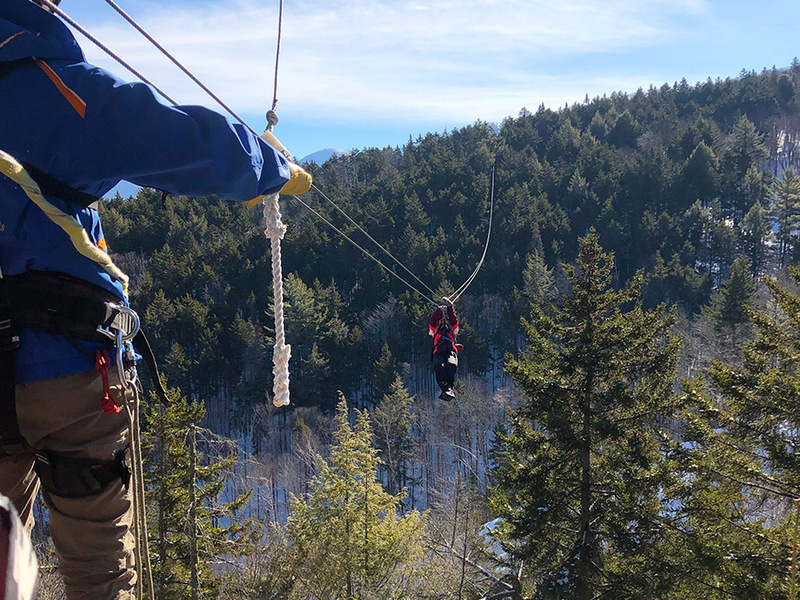 Canopy Tour is open year-round!